Our six game unbeaten run came to an end at Glebe Park, although we still remained top of the table on goal difference. The game had a very quiet start with neither side posing real danger and it took Cowdenbeath ten minutes to get in touch with City keeper Nelson. Morton cut the ball back to Robertson and his shot was comfortably gathered by the keeper. In 22 minutes City threatened when a Janczyk corner was latched onto by Molloy but fortunately for Cowden he fired over. Shortly after another set piece was met by Dunlop and his header looped onto the top of the net but in 29 minutes Cowden got back into things when Morton fired in a curving shot which veteran Nelson saved well. Five minutes from the break we had the ball in the net when Linton's corner was headed home by Robertson from close in but the referee ruled it out for a foul. The only goal of the afternoon came after 54 minutes when a long free-kick into the box from McLean was flicked on by former Central Parker Fusco and Charlie King was left in space to slot the ball home with the Cowden defence claiming offside. Cowden responded by introducing Coult for Winter and the big forward immediately gave City something to think about with a shot which went wide. 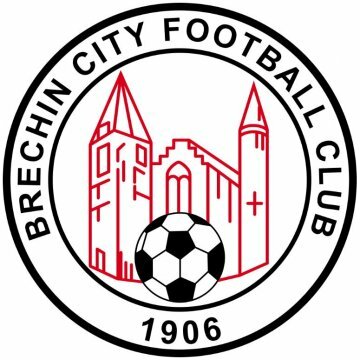 But Brechin were still dangerous and in 70 minutes Flynn did well to safely gather a low Fusco shot. As the clock started to run down Cowden tried hard to get level and Ramsay, after an absence of almost three months, came on and put through a couple of lovely passes which Stewart was unable to latch onto. We kept working hard but they just could not create the golden chance which could have given them a point from the match.